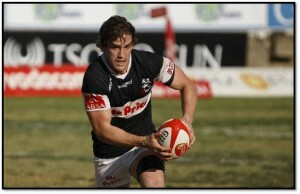 Keegan Daniel has had a great rise in South African Rugby. 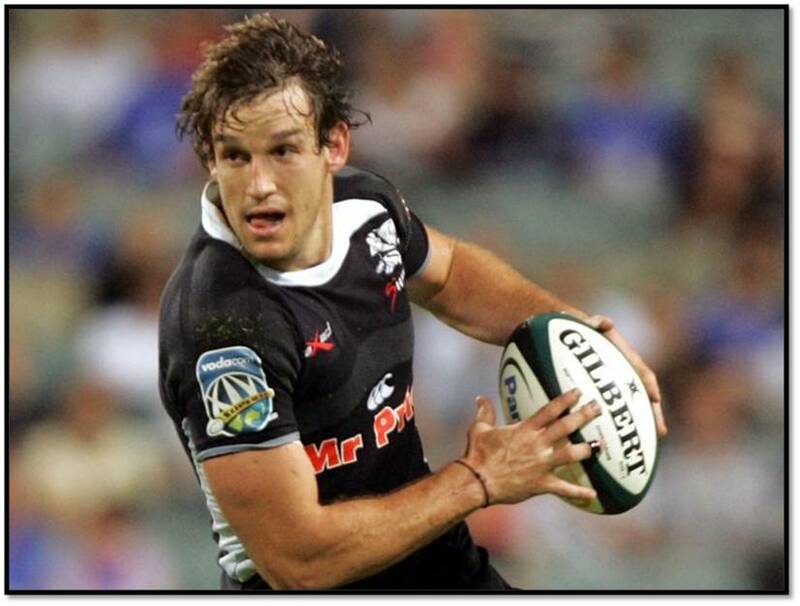 He is now the Sharks captain for both Super and Currie Cup Rugby, taking over from the legend that is John Smit. 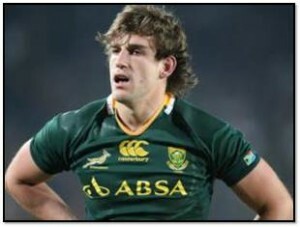 He has played 5 times for the Springboks but as many fans in South Africa will agree, he should be playing more. He is an elusive runner that tackles as hard as any as well as demonstrating some great leadership ability. We sat down with the Sharks Skipper about this season so far. All Things Jabu (ATJ): Hi Keegan, thanks for the chance to chat! Straight into it here, what was it like taking over the captaincy of the Sharks from legends like John Smit and Stefan Terblanche? Keegan Daniel (KD): I definitely learnt a lot from the past captains, in the way things were dealt with and their individual leadership styles. Myself having my own style but incorporating what I had learnt from those before me. ATJ: You led the team all the way to the Super Rugby final after 3 successive elimination weekends, what do you think was the reason the Sharks put on such an amazing run to the final of this year’s Super Rugby? KD: It all comes down to pressure. We knew that a single loss in that last run would knock us out of the competition. We gave ourselves a chance by ending 6th, but ultimately it was one hurdle to far for us this year. ATJ: Having played in the U21 IRB Championship in 2006, what was the experience of playing in the tournament and ultimately the final, like for you as young player? KD: It was a great experience, having never represented SA at age group level; to have that opportunity was memorable. ATJ: The role of the loose forward is consistently changing, from either the blindside, openside or the eighth-man. 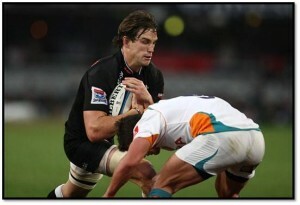 Which do you prefer and what do you feel are your strengths as an adaptable loose forward? KD: I prefer open side and eighth-man out of the three. My strengths would be my linking play with the backs, being able to be creative, as well as a good feel for the game. ATJ: With the Sharks having such an excellent academy, who is the next star, from what you’ve seen, who will be emerging from the academy? ATJ: By my counts you have played in easily 30 stadiums around the world. Which stadium is your favourite to play in? ATJ: Loose forwards are renowned to be hard men, which loose forward opponent has been the hardest to play against? KD: I don’t think there has been one in particular. There are many great loosies in the world and I think every team we play against will have someone tough out of the three. ATJ: The Sharks alone have a wonderfully talented loose forward group with yourself, Willem Alberts, Marcel Coetzee and Ryan Kankowski; has the competition helped this season, was it part of the reason there were three of you starting against Argentina? KD: You forget Jean Deysel and Jaques Botes as well! Healthy competition in any position is always good. It can be a positive motivation, meaning that you have to keep your performances at a top level; otherwise you stand the chance of being left out. ATJ: Do you think that Argentina joining the Rugby Championship will be good for Rugby Union on a global level? KD: I think it’s a great addition. They bring something different and it adds a new flavour to the competition. I think they have shown so far that they are worthy of their position in the competition! ATJ: And as a result of their inclusion in the Rugby Championship, do you think we’ll be seeing some more Argentine players in Super Rugby? ATJ: What are your ambitions for the rest of the 2012 season? KD: We have a Currie Cup to win, that’s the main focus now! I would also like to keep the mind and body fresh; it’s been a long season so far! ATJ: Who is the best loose trio ever? ATJ: Thank you Keegan! Good luck for the remainder of the Currie Cup and we hope we get to see you back in a Springbok shirt soon!